AwesomeJennJenn: The Toronto Scotiabank Buskerfest and Buskerball are Back! The Toronto Scotiabank Buskerfest and Buskerball are Back! 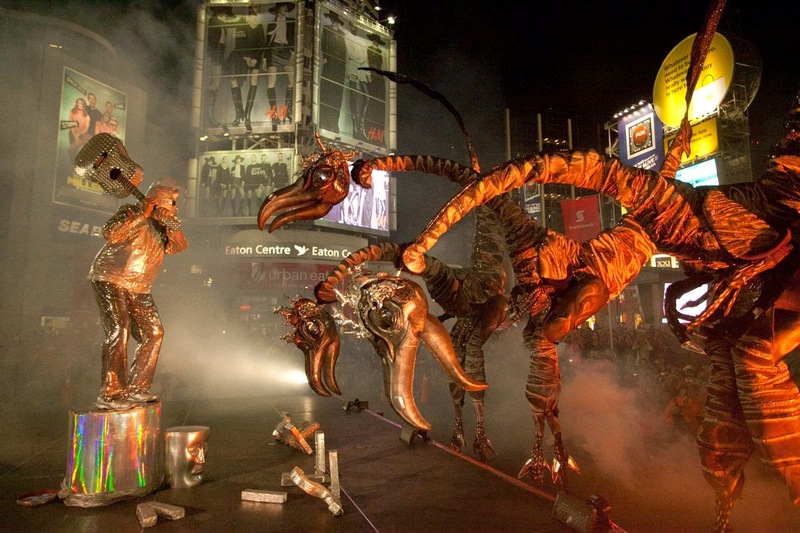 Once again, downtown Toronto will host the 15th Annual Toronto Scotiabank Buskerfest from Thursday August 21, 2014 through to Sunday August 24, 2014 on Yonge Street, between College Street and Queen Street. "What exactly is Buskerfest? ", you ask. Well, it's a pedestrian street festival showcasing street performers from around the world. 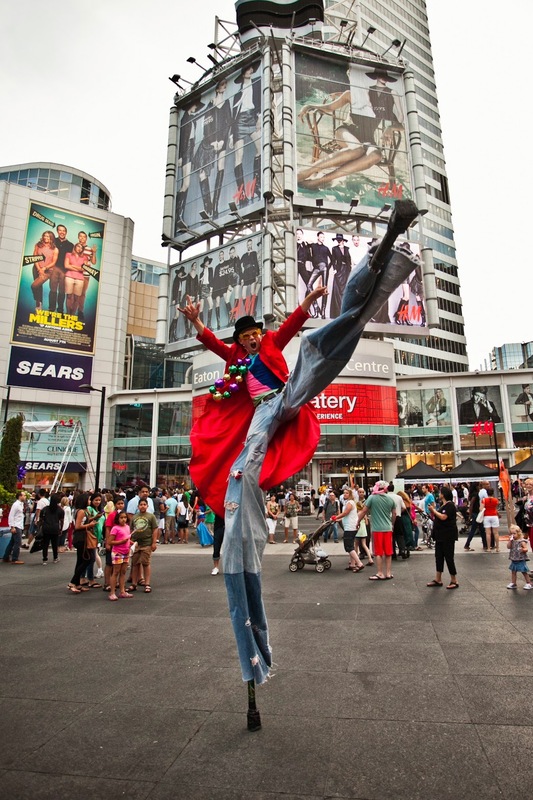 With over 160 buskers in 65+ acts - the Toronto Scotiabank Buskerfest is the largest to date. "The last of the major festivals in the Toronto summer entertainment season, the festival is spontaneous, colourful and bursting with the unexpected. There is something for everyone; silent comedy and slapstick, daredevils and magicians, high skill circus acts and a wide variety of music, clowns, contortionists, acrobats, aerialists, puppets, fire and a few things we have no words to describe." For the first time in the 15 year history, the Scotiabank Stage at Yonge Dundas Square will be a benefit stage through all 4 days of the festival! Each of the acts will be able to perform on the stage over the course of the festival. Admission to the Toronto Scotiabank Buskerfest is done via donation at the entrance to the festival, which proceeds go to Epilepsy Toronto - however, any payments made to the street performers are theirs to keep. Prior to the Toronto Scotiabank Buskerfest, there is a ball to kick the whole week off, the Buskerball! 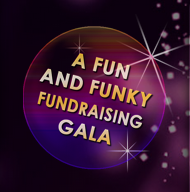 It's a gala fundraiser to raise awareness and funds for Epilepsy Toronto. The host and MC is Andria Case from CTV News and with a "business chic or funky fabulous" dress code, an open bar, silent auction and performers - Buskerball is set to be a blast!